We have recovered millions of dollars for our clients in the past 13 years. 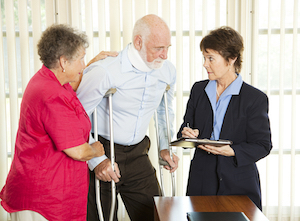 Although each case is different, we strongly urge you to allow us to evaluate your case before you agree to a settlement offered by the insurance company or their attorneys. Violent crime continues to be a serious problem in Southern California. Where almost everywhere else in the country has reported sharp declines in criminal activity, Los Angeles police recently reported a 26 percent uptick in violent crimes. It’s estimated that nearly 7 in 10 American households have at least one pet. That’s according to American Pet Products Association. Most of these are dogs and cats, and the majority provide loving, loyal companionship and protection. According to the National Floor Safety Institute , falls account for 8 million emergency room visits annually. Slip-and-falls account for 1 million of those, or about 12 percent of all falls. Swimming is one of the most popular recreational activities in the U.S., especially for children. In Southern California, pools are a major draw all year round for residents and tourists alike. The Los Angeles metro region has one of the highest numbers of recreational pools per capita. In California, drownings are almost always the result of negligence. No one necessarily means for it to happen, but it is the result of carelessness or recklessness by someone who had a responsibility to know and do better.